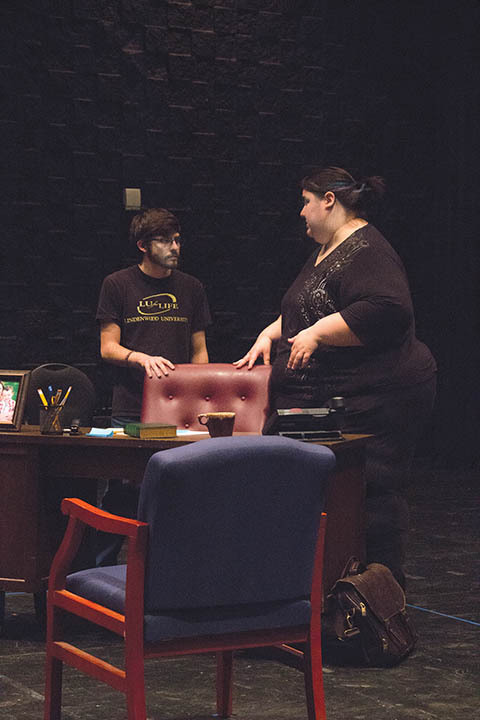 Photo by Ana Castillo Jake Blonstein, left, and CeCe Day, the sole stars of Lindenwood University’s production of “Oleanna” in rehearsal in the Emerson Black Box Theater. 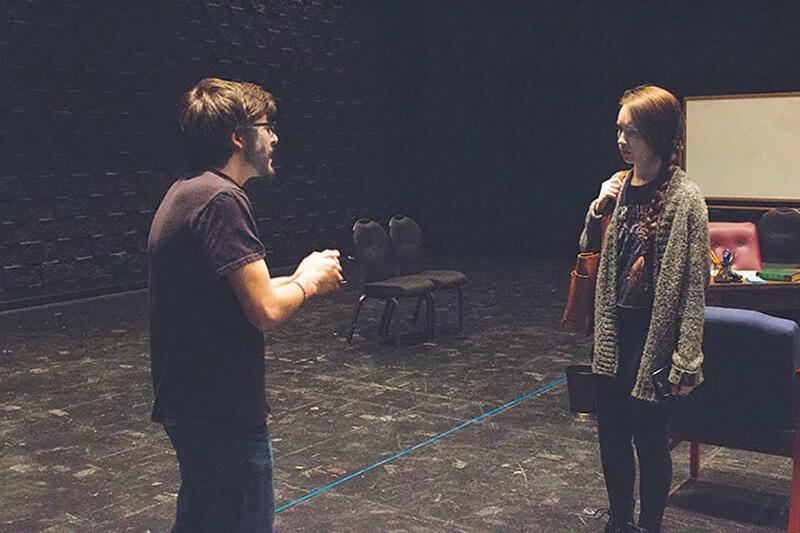 Jake Blonstein, left, and CeCe Day, the sole stars of Lindenwood University’s production of “Oleanna”, in rehearsal in the Emerson Black Box Theater. 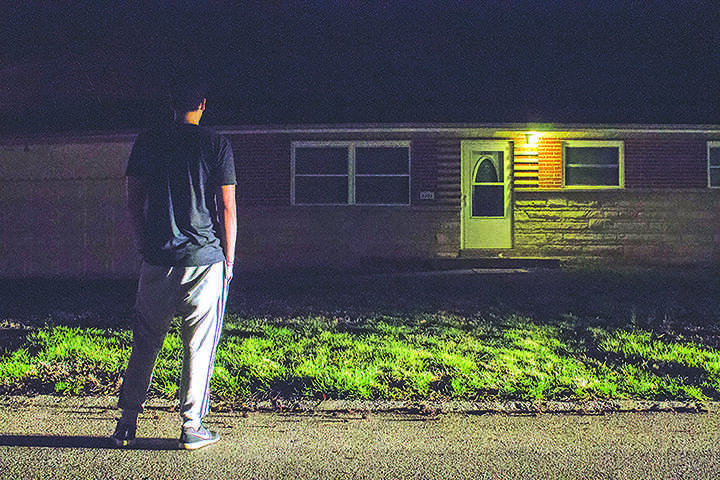 “Oleanna”, a two-character play by David Mamet is showing at Lindenwood’s Black Box Theater March 17-19. The show will take place at 7:30 p.m. and is free to the public. Graduate student Rosie Portillo is directing the show about the power struggle between a university professor, John, and his female student, Carol. Portillo chose this play because of the experience it will provide for the audience. “I really like doing shows that have an inherent message to the audience and makes them have to engage,” Portillo said. Sophomore Jake Blonstein plays John. 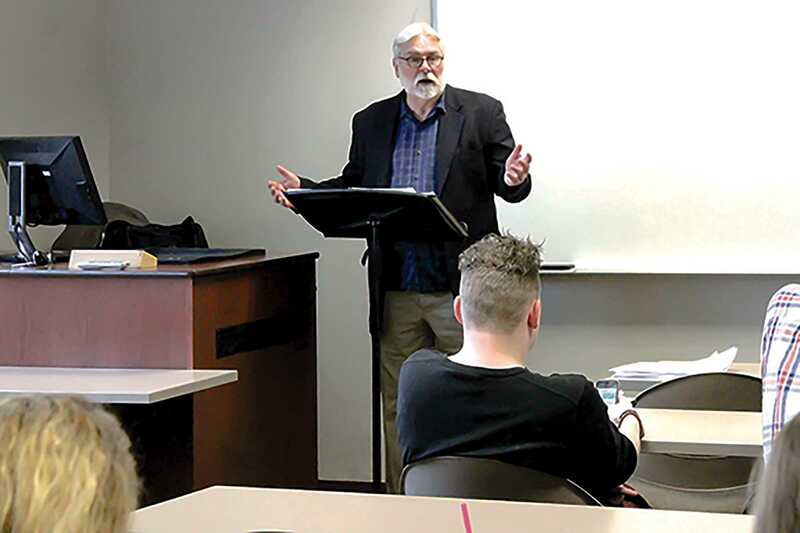 He believes that audiences should be ready to be challenged. Freshman Sierra “CeCe” Day stars as Carol and states that this play touches upon issues that are pertinent to today. As for the rehearsal process, Portillo said that she really enjoys and appreciates working with her actors. “They’ve really taken the material and internalized it in a way that has surprised me a lot of times,” she said. One of the aspects Portillo acknowledges the most is that both Day and Blonstein bring different choices and perspectives to the table. “They come up with ideas or thoughts about the characters that really make it their own, and it’s beautiful to watch them interact,” she said. For the performance, Day believes that it is up to the audience to make this experience worthwhile.